Notice: Testimonials placed on this page are copied from third party websites such as google, and Yellowpages. 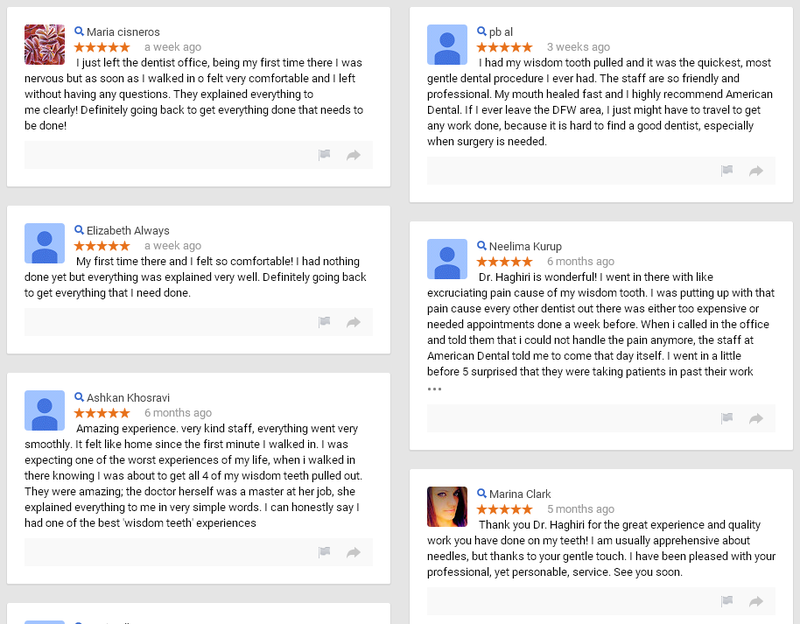 American Dental Center takes pride in its’ high patient satisfaction and does not have alteration control over the content of these Reviews. Highly Professional and Friendly Dentist and Staff. 4 months ago i went in for 3 extractions. she extracted my 3 teeth in a flip of a finger, and I am a big guy, i was amazed how those little hands could take my teeth off like that. and right away she recommended that i place 2 implants. so I agreed, same day she did the bone graft surgery on me and the next visit she placed the implants. now its 4 months after, and i got the crowns on my implants. I cannot tell the difference between my own teeth and the implants. She is definitely the right dentist to go to. the only thing that bothered me a bit, were the waiting times. Very professional, and considerate Staff, and one of a kind dentist. about 2 months ago i went to a dentist in Mckinney. they told me they will do an implant abudment and crown for $2K. i went there. they messed up the implant: apparently they placed the abudment or whatever they call it wrong. and instead of a crown they placed a temporary crown for me. and they said the price given was for temporary crown AFTER THE WHOLE THING WAS OVER, and i am out 2K. after a week, i start having pain all over my mouth!! excruciating pain! the dentist who did the implant did not give me an appointment so i had to go other places. every place i went they told me that i have infection and it is going to cost me $3K to re-do the job. i called these guys, they took me in right away, on a Saturday afternoon, She told me i have infection all over the implant and put me on antibiotic right away. Did not even charge me for my visit or the prescription. 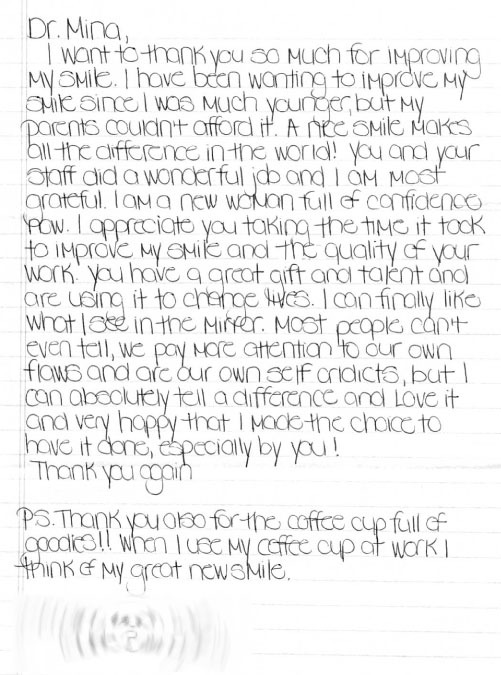 what was amazing for me, she did not blame the other dentist for what happened, she was so nice to say these kind of problems are the risk factors, and did not put her colleague down, which every single other dentists i went to before her did! she told me very nicely, that she is going to have to Re-do the whole thing. she did the surgery in one visit. took the old thing out of my mouth and put a new thing back in and charged me $1.7K. I just want to thank her for what she did for me and tell other people who are fishing for a cheap price that, your tooth and health worth more than a couple of extra bucks, go to somebody who knows what they are doing, instead of pulling you into their office to be their practice patient, AND take your hard earned money!! do not be fulled bye the low prices out there. Wonderful dentist and assistant, explained everything clearly. Very friendly & patient-oriented. Caring, Professional, Fare Prices, Fast, Painless. This place is absolutely the best dental clinic I have ever been to. The Doctor and staff are sooo friendly and caring. I extracted 1 impacted wisdom tooth and the other 3. it took her less than 40 minutes to take them all out. I was out of the chair in less than an hour, NO PAIN what so ever, No swelling, Amazing!!!!! she has magic hands..
Fairest Dental office Ever, Sexiest Dentist Ever! 🙂 this dentist is one of the fairest dentists that i have gone to! She is so lovely and kind you wont believe it! 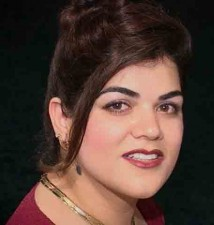 she did 6 Lumineers for me for the 3rd of price that i was quoted in monarch dental! they showed me the certificates for all the parts and material they used for me, to make sure that i know they are not using after market Chinese made stuff for me! She did not try to rip me off and that’s why I love her as my dentist. She and her staff were really professional and kind to me, and made me feel calm and happy. there were NO EXTRA CHARGES AND NO HIDDEN FEES!!!!! I paid exactly what they told me the service is going to cost me and not a penny. I love this office and i am sure you guys will too. I highly recommend American Dental and I am sure you will have a good experience with them. Negative: the only beef i had was waiting time, and as she explained for me, she does not cut the time short on her patients just because she has other patients waiting outside. and I am sure i would want her to do the same for me while she is operating on me!!!! I love this dentist. Dr. Haghiri is the kindest, gentlest, fairest Dentist in the whole world. i went to her with a broken tooth in front of my mouth. I did not have any cash. Her staff took me in, she examined my tooth for free took bunch of x-rays for free, and told me exactly what I needed to do. they offered me 1 year of interest free payment plan, and took care of my tooth on the same day. my tooth looks better than its original. SHE EVEN FIXED MY CHIPPED TEETH AROUND IT FOR NO EXTRA CHARGE. I cannot believe there are Doctors like her around!!!! Highly recommend American Dental, you will not regret going there! This Dentist is the best I’ve ever had. she is very gentle and fare. I’ve had extractions done here with I should say minimal to no pain. I did teeth whitening, its been 4 months now and my teeth still look awesome. another good thing about this place is, they give u free stuff that i used to pay boat load of money at my other dentists. Their prices is way lower than other places PLUS they give u free stuff. She does not try to out sell you. the list of procedures that I have been quoted in Jefferson for $5600, she said half of it I dont need, and there are no evidence in my x-rays that shows i need most of these services. PLEASE PLEASE PLEASE research before choosing your dentist! Very good Dentist, Very good staff, Nice and Cozy place, the only negative is the amount of wait, sometimes i have to wait a bit, other than that, This is the dentist to go to! Best for Impacted Teeth EXTRACTIONS and IMPLANTS if anyone needs a dentist! Dr. Mina is a Fair, gentle, trustable, and a very professional dentist. For anyone who needs impacted teeth extraction done, I highly recommend Dr. Mina. I did 4 impacted teeth extractions in one day in Dr. Mina’s office. The Operation time was about (30-45) minutes, No swelling or trauma, I rested the next day and went back to work the second day after surgery. Pricewise, she is fair and does not over charge. Do not forget, you are getting an specialist service (a kind of service that not all general dentists offer or are capable of offering). The First time I enjoyed going to a dentist!!!!! Dr. Haghiri is the most caring dentist I have ever been to. Her staff are very kind and helpful. since i was in so much pain, they took me in right away, and Dr. haghiri stayed late just for me! (not may doctors care to stay late just for one patient) So far Dr. Haghiri has done 2 root canals, 2 crowns, 3 extractions, sinus lift, bone graft and 3 implants for me. I could not be happier of my decision that I accepted to go with her recommendations. The Procedures were done fast, clean and with utmost care and profession. WITHOUT A DOUBT SHE IS THE MASTER IN HER WORK. I did not experience any major trauma or bedrest after my sinus lift surgery! A day and half resting at home and I was up and back to work 2 days after the surgery. My implants are perfect and I am very happy that I’ve got them. They feel just like my own teeth, no pain or swelling what so ever! Fortunately, I did not experience any problems during any of the procedures, and everything was as I was explained by Dr. Haghiri, and her staff. ANYONE OUT THERE LOOKING FOR A GOOD DENTAL SURGEON TO DO IMPLANTS, SINUS LIFT OR BOAN GRAFT SURGERY, I HIGHLY RECOMMEND DR. HAGHIRI. HER PRICES ARE NOT CHEAP, BUT FOR SURE ARE FAIR AND WELL WORTH THE SERVICE YOU WILL GET. Simply the Best, and the fairest Dentist EVER !!!! I was in pain and needed to see a dentist immediately. Dr. Haghiri’s staff took me in with only 1 phone call. Dr. Haghiri saved my tooth and took my pain away on spot. She is the best at doing root canals. If anybody out there needs a root canal done, I highly recommend Dr. Haghiri. She truly cares about her patients, and the best at her profession!~!!!!! Dr. Haghiri is absolutely the best and most caring dentist ever!! I came to her after i had a horrible experience, not only did she treat me asap she was so caring and absolutely willing to get me threw my ordeal. I am so grateful to have found her. The staff is just as fantastic, they are attentive and there to make my experience as easy as possible. I will forever have Dr Haghiri treat me and I am taking my daughter in to see her asap!! THANK YOU DR HAGHIRI!! I had just recently moved to Dallas from Los Angeles California and was in need of a dentist. A colleague at my law firm told me about Dr. Haghiri. To my surprise I found 2 sisters working side by side Dr. Tseng and Dr. Haghiri. Dr. Haghiri explained to me the step-by-step procedure of my treatment. Her gentle touch and over concern with my well being and comfort is what keeps my coming back. She has been a delight. Thank you Mina your the BEST!! !